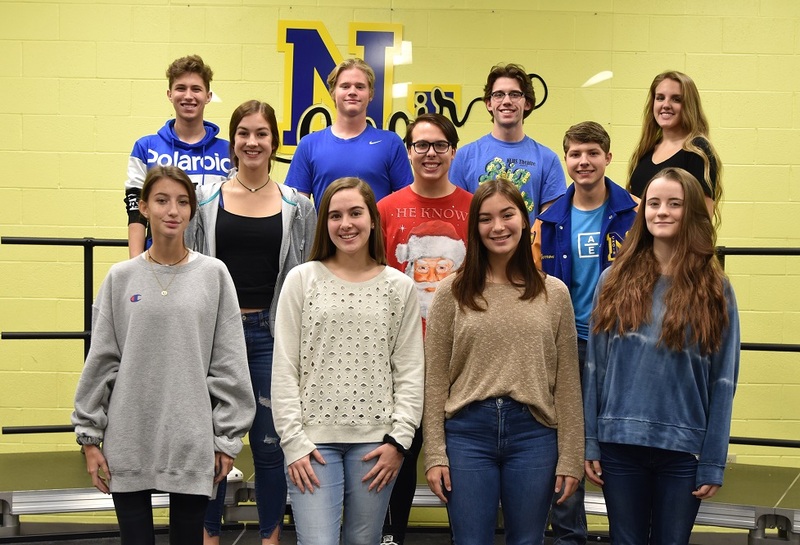 Thirteen students from the North Lamar High School choir qualified for the Texas All-State Choir after competing at the area on November 27 in Gilmer. Qualifiers beginning front row left are Amanda Dean, Jillian Jones, Ellie Ables, and Allison Wood; middle row, Reyna Hildreth, Sean Gist, and Jerron Newberry; and back row, Kyle Stanley, Parker Freeman, Seth Jones, and Jenna Gould. Not pictured are Mikayla Ford and Connor Dawes. The students, under the direction of Rebecca Hildreth, will audition on January 12, 2019, in Carthage for a spot in the highly esteemed All-State Choir.